When things are scarce, people tend to be more careful. When an economy is down, people spend less, start fewer businesses. When income is low, people are slow to spend and tend to save more. We adopt a “wait-and-see” attitude based on a fear of the unknown. During seasons of scarcity people rarely focus on giving. But something happens in our lives when we are willing to give in a season of scarcity. The Widow of Zarapeth, (1 Kings 17:1-24) is featured in the story where she takes Elijah, a stranger, into her home. While he stays with her, based on God’s promise, God sustains them from a little flour and a small cruse of oil for nearly two years. What is remarkable about the story is that before the miracle, she takes her last flour and oil and gives it all to Elijah first in obedience to God’s word. This nameless woman shows a generous spirit long before God works the miracle in her home. She is poor, she has nothing to live on except a little flour and some oil. There is a general scarcity (no hope for an end to the drought) and she has decided to make her last meal to share with her son, and then to surrender to the inevitable starvation that is sure to come. Elijah, a stranger asks her to fetch him some water to drink, she readily went to fetch it for him, at the first word. She didn’t object to the present scarcity of it, nor asked him what he would give her for a drink of water (it was worth money in a drought), nor hinted that he was a stranger to her and a foreigner. She did not excuse herself on account of her weakness through famine, or the urgency of her own affairs; did not tell him she had something else to do than to go on his errands. But she left her gathering of sticks for herself, to fetch water for him. This shows a heart attitude that was concerned about others and willing to go about meeting their needs. Only then does he ask for something to eat. We would understand her refusal, he is asking for her very last provision, the last morsel of food, possibly hurting not only herself but her son. She doesn’t say, sorry, my family comes first, or sorry can’t help you and go about her business, but instead goes about meeting his need trusting the Word of God. He gives her a promise from the Lord: “The jar of flour will not be used up and the jug of oil will not run dry until the day the Lord gives rain on the land.” She takes him in and makes him the cake to eat, exercising faith and seeing the miracle in her home. She demonstrates hospitality, concern for others and generosity, long before she witnesses a miracle in her home. We may say: “Well, she had a promise from the Lord!” But we too have promises from the Lord! How do we respond when someone asks us for something in light of God’s promises to us? She demonstrates a generous heart long before she sees God’s miracles. Is that not what faith is, believing in God’s provision long before the evidence of his provision becomes a reality in our lives. Her generous heart positioned her to see the miracle of God’s provision. She also reminds us of another widow who gives her last two coins into the temple treasury in Luke 21:1-4. These generous women are considered poor by the rest of the world, but by heaven’s standard wealthy beyond description and useful in the Kingdom of God. These woman developed generous hearts long before they surrendered their everything. The generosity is born out of a relationship with the Lord (the trusting of His provision) and given into relationship with others (meeting their needs). This implies a relationship with people who are the recipient of their giving and an understanding of their needs. A generous person is a careful steward of personal resources and skills which implies a circumspect attitude to giving, thinking and expecting good return to giving. Giving is done with careful thought and not on the spur of the moment. They understand the difference between ownership and stewardship. They show kindness (even when it is not deserved) and grace (favour given to those that don’t deserve it) based on personal integrity and courage, they are people of conviction. They also know how to suffer lack, without getting bitter. They have a personal integrity and a sense of destiny, an awareness of the bigger picture. Their giving is aimed toward reconciliation, redirecting their own hearts in the direction of Christ’s heart, so as to bring reconciliation and restoration to people who cross their path. 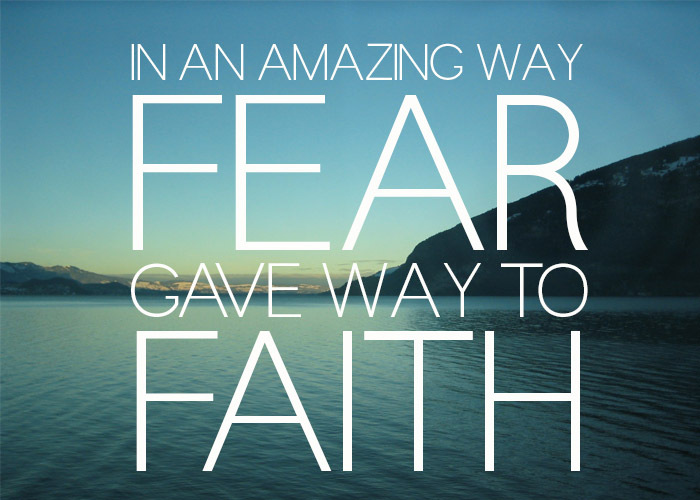 They give quietly, sacrificially and lovingly, exhibiting faith. 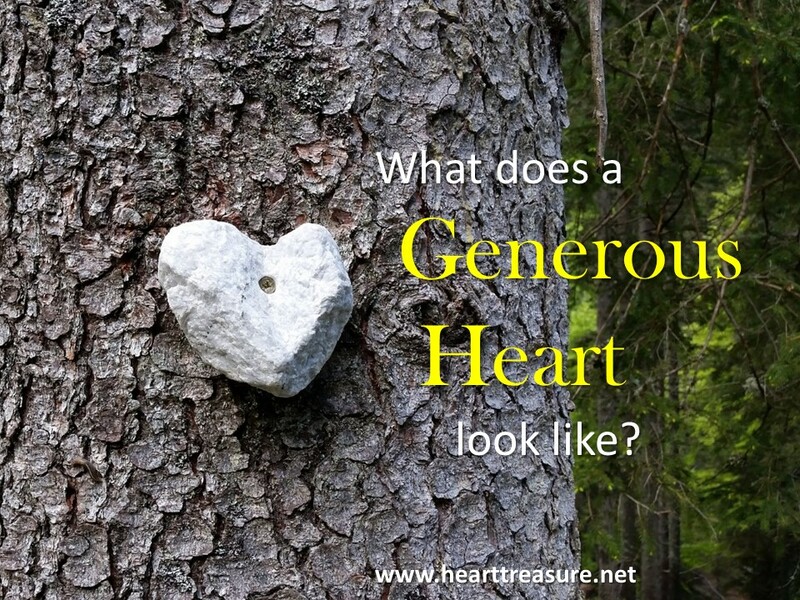 Being a generous giver, starts with working on the attitudes of your heart first. When our hearts are generous in our giving, trusting the word of God, we are positioned to see the miracles of provision God will work into our lives. Lord work in my heart and my life so that I am more positioned to be a generous giver. Help me to recognise Your heart and remember that everything I have comes from You. Help me to have Your kind of heart, that gives generously. 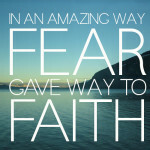 Help me to take you at Your promises of provision and not live in fear of scarcity. Help me to give generously with a cheerful heart.